Like it or not, if you own a website, you are forced to compete for exposure online. With 234 million websites already in existence and nearly 130,000 new sites coming online every day, is it any wonder that being found is getting harder and harder to accomplish? Well, the good news is that while it may take a little sweat equity to put your web presence in the winner’s circle, the task can be accomplished in short order if you follow the four simple rules below. Don’t look “Old School” and expect to be considered current. If your website still has an entry page that reads “Click here to enter our website,” or if your site is 100% Flash, or if the last update you performed on your site was back in 2005, then don’t be surprised if your site is languishing on Google page 122. I personally make it a habit to publish at least one new blog per week and add two new videos per month. Why? Because I want my web presence to keep pace with my growing business enterprise. I want my websites, blogs, vlogs, social networks and newsletters to bring prospects and clients back to check up on my latest events and updates. I also want to make sure that I either embed or link these blogs, vlogs, and social networks to my homepage. You’ll notice I said “websites.” There is no law that states that you can only employ one website to promote your business. In fact, it behooves you to employ a number of sites in order to get the word out, particularly if your business markets a number of different products and services. Since you don’t have months to wait for results, why would you? Besides, even the best SEO firms on the planet can’t guarantee that they can deliver Google Page 1 for every search term you desire. And every one of them will tell you that it can take four months or more before you find your links on page one of Google. That doesn’t mean that you should neglect SEO by any means. It’s just that there’s more than one way to skin a search engine. Case in point: My firm was hired by a prominent real estate broker to help him sell units on a condo complex his firm had acquired. After researching their keywords, we decided to create a 4-page microsite and a series of 4 videos that could be used to leverage SEO potential. We then optimized the videos and embedded them on the site. As a result, the videos started appearing on Google page 1 within 30 days and the website url was on page one within less than 60 days. As a result, not only did the broker sell the development in short order, but the site and videos continue to steer leads his way to this day. Another client hired us to help her improve her online visibility. After researching the keywords, we discovered that there was only one keyword that was going to cost more than $3 per click. The rest could be had on the cheap. So we registered a url that contained the keyword and created a properly optimized site that targeted this particular keyword. For the remainder of the keywords we created a series of landing pages, employing Adwords to generate page 1 placement. As a result, the client started seeing traffic and lead generation within two weeks instead of having to wait months for SEO to take effect. Once you get someone to click onto your site, you need to get their attention fast! If the first brush a prospect has with your company is your website, they don’t know who you are, they don’t know what your reputation has been and they aren’t going to take the time to wade through 15 pages of prose to find out. In fact, it’s a statistical improbability that they will scroll down the screen to the bottom of your homepage. With that in mind, why do so many companies insist on wasting the valuable real estate at the top of the page by cramming it full of nebulous graphics and the company logo? If you really want to capture the prospect’s attention and more importantly have them contact your firm or even better, make a purchase, what you need to put at the top of your homepage is a video. Video is the perfect ice breaker in that it introduces the visitor to you and your business. In 60-90 seconds you can show newcomers to your site your staff, demonstrate products and even include a testimonial from a satisfied customer. You can tell them about your years of experience and give them a reason to do business with you. Most importantly, you can increase your credibility and reduce a prospects hesitation to buy. Don’t complain about a lack of results if you offer no reason to act. Having been an online marketing consultant for more than 16 years, it never ceases to amaze me how many website owners lament a lack of leads and sales when their homepage clearly doesn’t offer much if anything in the way of a call to action or incentive to do business. a. Free sample or service -Since the most powerful word in the English language is FREE, this kind of offer is obviously going to draw the most attention. Offering a free sample of a product or service is going to make a huge impact on converting browsers into buyers. Even though you are going to have to provide a free taste, the result is that you are going to generate more of a result if all the prospect has to do is click or call to get the freebie. This means you will now have a viable lead to work and that your ROI will be much higher using this tactic than any other, provided that you work, work, work the lead generated. Being an online marketing expert, I personally offer prospects a free Top-to-Bottom analysis of their entire web presence. This provides the prospect with a chance to see how their web presence stacks up against the competition. It also provides my firm with an opportunity to create a rapport with the prospect and ultimately offer to deliver a solution that will help improve the prospects visibility and results online. This is what’s known as a win-win situation. b. Discount coupon - The second most powerful inducement to getting a prospect to take action has to do with a discount offer. In order to make the offer truly attractive, the purveyor of a product or service needs to dig deep in order for the offer to really work well. I mean, an offer good for only 10% off a $2 item isn’t really going to project the “Wow Appeal” needed to make someone pull the trigger and make a purchase. Remember, while you will be taking a hit on the initial purchase, the objective is to acquire a new customer that will continue to purchase products and services from your company hopefully for years to come. Just like printed coupons, these inducements are meant to spur a buying decision. Unlike print media, the value of employing coupons online is that if properly targeted, you know for a fact that the prospect is looking for your product or service before they enter your site. Therefore the object is that once you get them there you need to provide an offer they can’t refuse as soon as possible. c. Enticement to even more free information - If you are still reluctant to give a prospect a free taste of something that costs you money, then the other way to hook a prospect is by offering them an intangible that has a value to them. What I am referring to is the Free Webinar. A webinar is a lecture presented either live or via podcast or video that presents prospects with information that can help solve a problem or provide industry secrets. 1. You will capture the prospects email. 2. You will become in the eyes of the prospect an authority figure. 3. At the end of the webinar you will get yet another opportunity to pitch the prospect to purchasing a product or service from your firm. With the Internet getting ever more crowded, it is vital to your online success that you do everything in your power to give your web presence a competitive edge. After all, this is one competition you can’t afford to lose. Carl Weiss has been helping clients gain a competitive edge online since 1995. 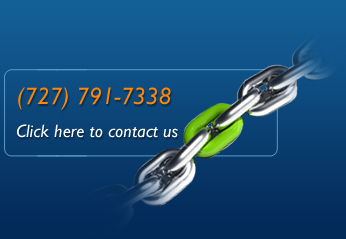 If you are interested in tuning up your web presence, call Carl at 904-234-6007 for a Free Web Presence Analysis.